A series of failures has prompted experts to speak of “a systemic crisis” in the Russian space industry. They maintain that the problem can be resolved through private investment, an international technological alliance and sector reforms. 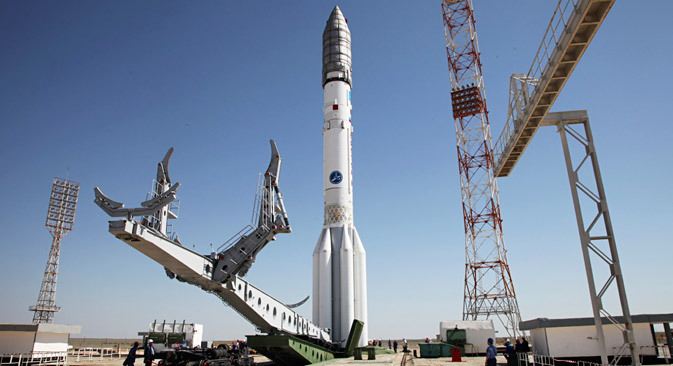 The Russian space industry has recently been plagued by a series of failures. On May 16, 2015 a Proton-M carrier rocket with the Mexican communications satellite MexSat-1 onboard burned up in the atmosphere. Earlier in May, an accident involving an unmanned Progress-26M spacecraft occurred, which had been carrying valuable cargo destined for the International Space Station (ISS). Judging by the preliminary findings, in both cases the problems were caused by engine failure. Writing on Twitter, Deputy Prime Minister Dmitry Rogozin, who oversees the Russian space industry, suggested that the problem could be resolved through administrative reforms. “Accidents are a consequence of a systemic crisis in the industry, which Roskosmos (Russian Federal Space Agency) has not yet overcome,” Rogozin tweeted. He expects that a restructuring of Roskosmos, which could be approved as early as May 19 when the State Duma is scheduled to consider a first reading of the relevant draft law, will improve the governance structure. The Federal Space Program (FSP) draft document outlines a plan for the development of the Russian space industry for 2016–2025 and is currently being reviewed by the government. According to this draft, over the next 10 years Russia plans to reduce expenditures on space exploration. The FSP draft plan envisages a 10-percent reduction in spending from 2,117.3 billion rubles to 2,004.5 billion. The savings are expected to come from cuts to areas including fundamental research and the production of launch vehicles, such as carrier rockets. Experts point out that in order to cope with the problems in its space industry, Russia needs to pay more attention to the development of private enterprise in this sector and international cooperation. Many believe that a technological alliance would be in Russia’s interests. “The [federal space] program could envisage a far stronger technological alliance with BRICS countries,” says Sergey Zhukov, a test-cosmonaut and president of the Moscow Space Club. Earlier, Roskosmos announced its readiness to work with BRICS countries on designing a new space station, which could replace the ISS after 2024. According to Roskosmos Head Igor Komarov, this option is currently under discussion. Despite cuts in fundamental research, the program still has quite a few compelling projects. For instance, over the next 10 years, Russia will become actively engaged in the search for extraterrestrial life: the FSP envisages a study of the evolution of climate on Earth and a study of threats posed by extraterrestrial bodies. To support its search for extraterrestrial life, Russian scientists will launch the Lomonosov satellite in 2016 and will take part in the ExoMars international station project. A Spektr-RG satellite observatory is scheduled for launch in 2017 and an ExoMars rover will be put into space in 2018. From 2018, Roskosmos plans to start developing a new medium-class launch vehicle called Phoenix, which could replace the Soyuz family of carrier rockets. According to preliminary findings, it was a Soyuz 2.1a malfunction that caused the recent loss of the Progress spacecraft. Between 2018 and 2025, Roskosmos plans to allocate over 30 billion rubles towards this project. At the same time, the development of a Megawatt-class nuclear propulsion system for long-range spacecraft will most likely have to be postponed. Russia planned to use this propulsion system for Moon and Mars exploration missions. The first model of the proposed power system had been slated for an initial development phase for as early as this year.